Steve Michener has devoted every Friday on his Facebook page to the British post-punk band, which is celebrating its 40th anniversary and plays Doug Fir Lounge this week. The Monochrome Set isn't playing Portland for the first time ever solely because of Steve Michener's Facebook posts. But the posts surely didn't hurt. 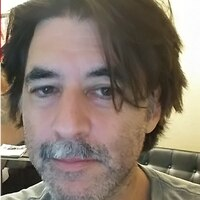 Michener is a Portland registered nurse, former Walla Walla winemaker and '80s college-rock star who played in Volcano Suns, Dumptruck and Big Dipper. He is also a huge fan of the Monochrome Set. Since July 2017, Michener has devoted every Friday on his Facebook page to the British post-punk band, which is celebrating its 40th anniversary and plays Doug Fir Lounge this week. Michener says the Monochrome Set isn't necessarily his actual favorite band, but it is special to him. "I am writing a little bit in character," Michener says of the Facebook posts. "I'm this 'superfan.' It was a band I always wanted to see, and missed, so it became kind of like a great white whale." 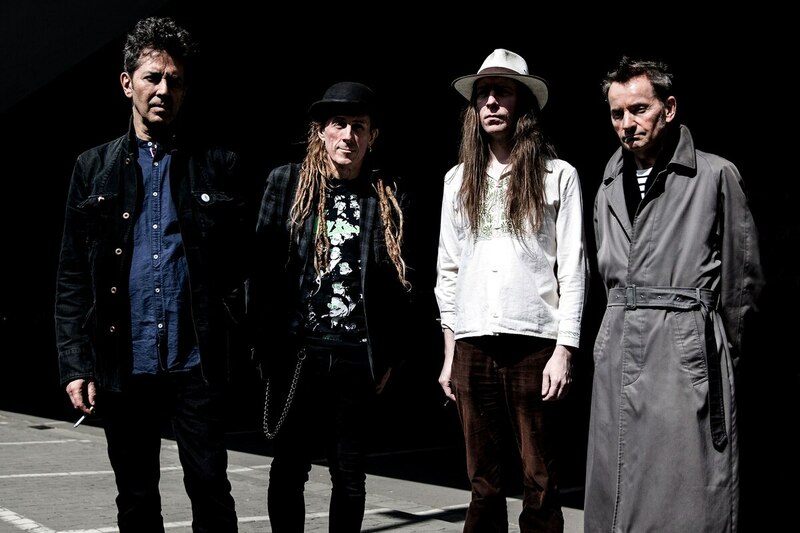 Michener's "Monochrome Set Friday" posts took off so much that others, as well as the band's manager and Facebook admin, Jane Barnes, persuaded him to fly to England for two shows in February 2018. From there, the posts—as well as impassioned requests and logistical support from other fans, including XRAY FM's Dave Cantrell—helped inspire the band to book its first proper U.S. tour since 1982. Michener didn't just drum up hype for the tour. He's providing ground support, too. Michener missed the Monochrome Set in 1982 because the band's van broke down in Ohio and the driver was arrested, leading to the cancellation of all further dates. So for this tour, Michener volunteered to be behind the wheel for the band between Seattle and Los Angeles, which also means he'll get to see five shows. "When I was pitching myself to Jane, I said: 'I'm an excellent driver. I know how to tune a guitar,'" he says. "'I'm a nurse. I can do CPR, and I don't have any outstanding warrants.'" You can definitely hear the Monochrome Set's influence on Big Dipper, one of Michener's former bands. "We both played pop songs that were filtered through our particular consciousness, and different influences, which probably made it harder for people to like us, because we were so hard to pin down," Michener says. "And that's what I loved about the Monochrome Set. They could be like a jazz band, a punk-rock band, a pop band, with the constant of [mononymous frontman] Bid's voice, and lyrics." There's also, admittedly, an obscurity factor behind Michener's Monochrome Set fandom. Anyone can have the Smiths (whom the Monochrome Set infamously influenced) as their favorite band. But the smaller the cult, the more intense it is. "Yeah, when something is closely held like that, and not very well known, it does end up taking a different place in your heart than the band that you have to share with a lot of people," he says. Punk was founded on the idea that the line between band and fan was very thin. That's more true than ever on social media. Often, in the comments for his post, Michener ends up getting chided or corrected by Barnes. "It was very awkward [the first time]. I've learned not to trust Wikipedia," he says. "It seems like every week I make at least one historical mistake, but it's good because it gets the conversation going. What I've found out is, Bid will not join in…except when there's something that needs to be corrected. And then [former guitarist] Lester Square will jump in. So at that point, when Lester and Bid and Jane are all on there, I'm like in heaven. Because I've started this conversation, even though it's calling me an idiot." SEE IT: The Monochrome Set plays Doug Fir Lounge, 830 E Burnside St., dougfirlounge.com, with the Prids, on Wednesday, March 6. 9 pm. $20. 21+.